The Hubble1 Pinwheel OpticRed features a stunning high resolution image of the Pinwheel Galaxy coupled with easy to read high contrast red text on a dark background. 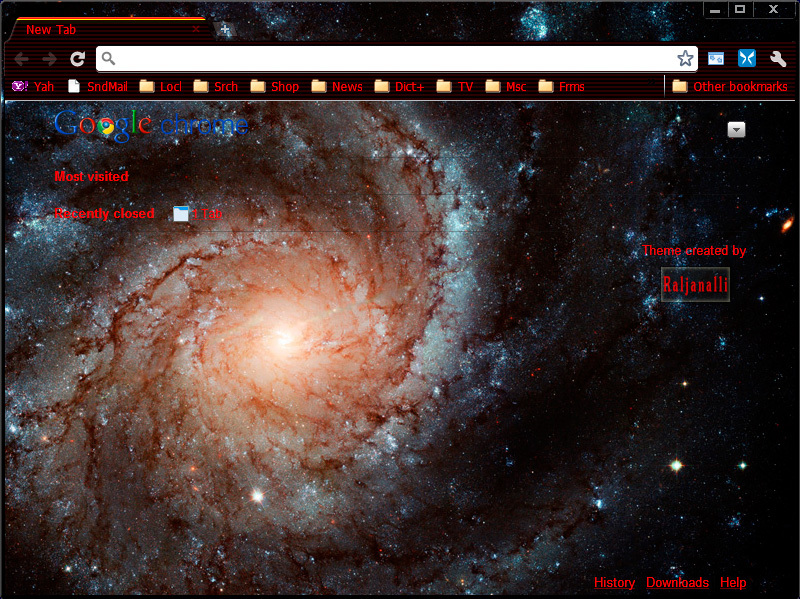 It's a beautiful and fascinating theme featuring colors, patterns and celestial objects in a galaxy, far, far away that's also great for navigating through tabs and bookmarks.. Optic themes have a bright header bar on the active tab that helps it stand out and a subtly ribbed toolbar adds a finishing touch. The high resolution graphic backgrounds are very easy on the eyes and make a great cover-up for busy desktops.